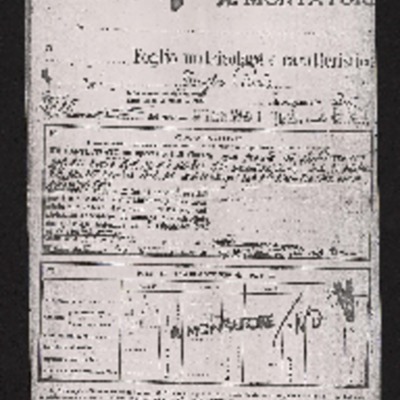 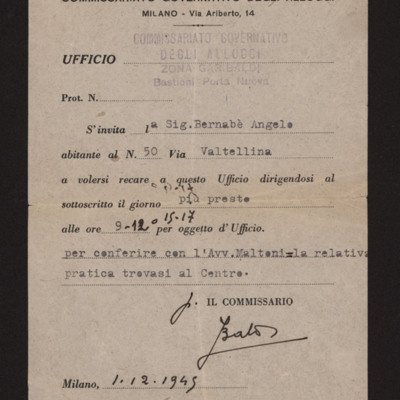 Bernabè Angelo bombing survivor card issued after the 15 August 1943 Milan bombing. ' 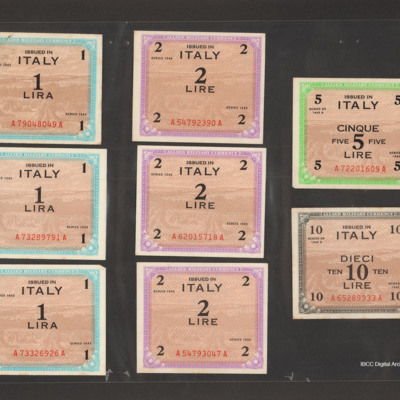 Angelo and his dependents have been evacuated to Sant'Angelo Lodigiano and have received 75 lire as cash benefit. 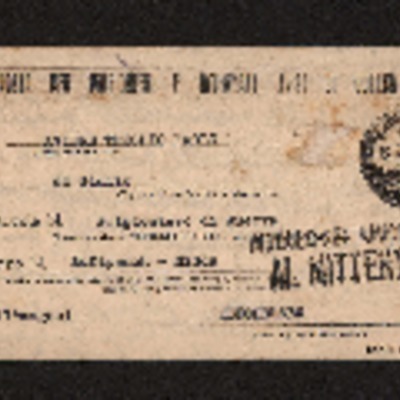 Paolo Troglio is given travel clearance by the Squadriglia Caccia 'Giorgio Graffer'. 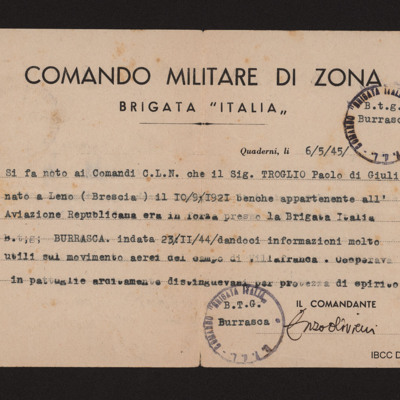 Annotated: 'controllato Brescia il 10/4/45 serv. 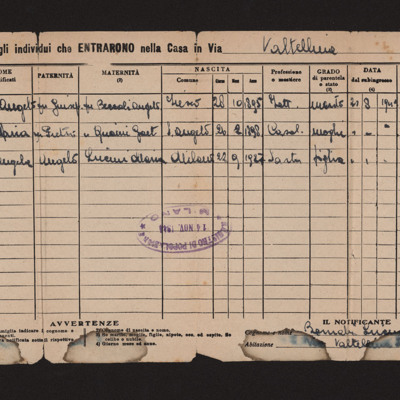 sorveglianza stradale'. 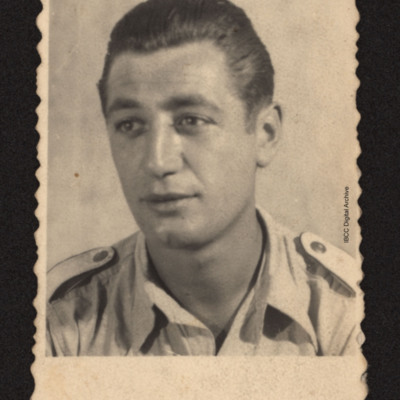 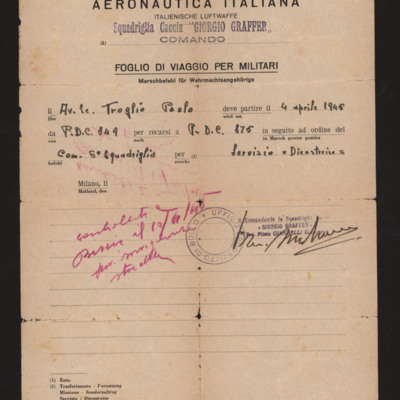 Travel permit issued to Paolo Troglio by the 'Italia' partisan brigade. 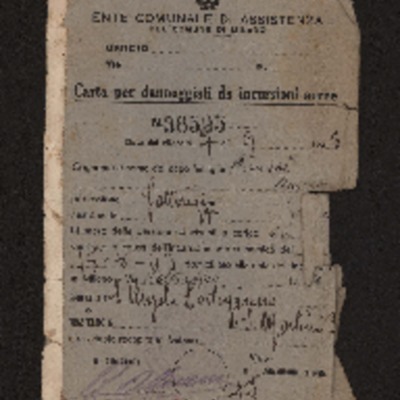 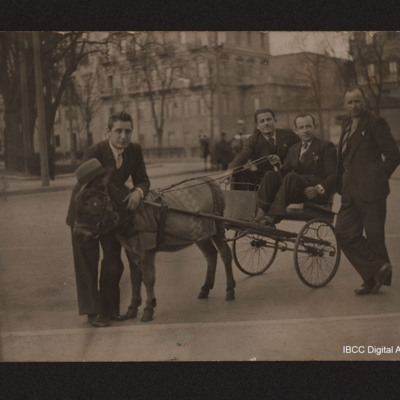 It allows him to travel freely to Milan and asks other partisan groups to provide support. 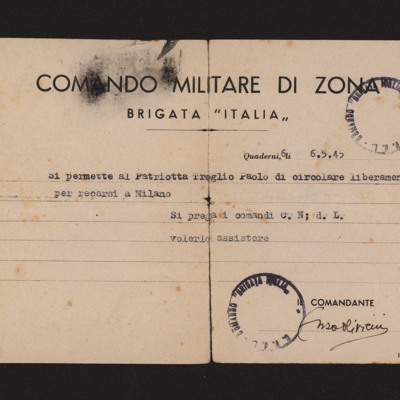 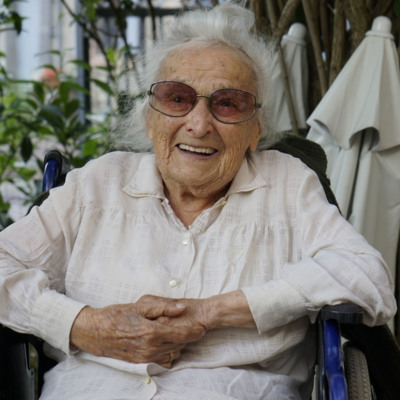 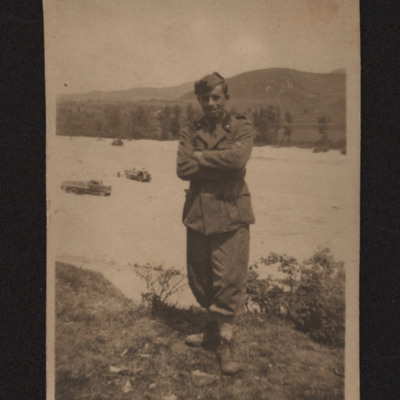 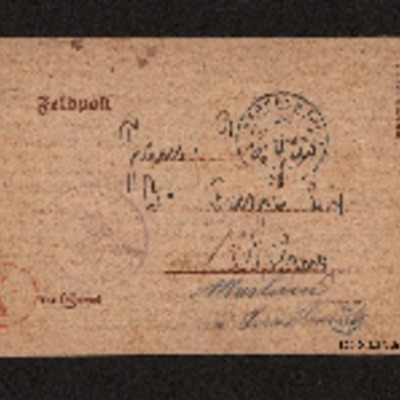 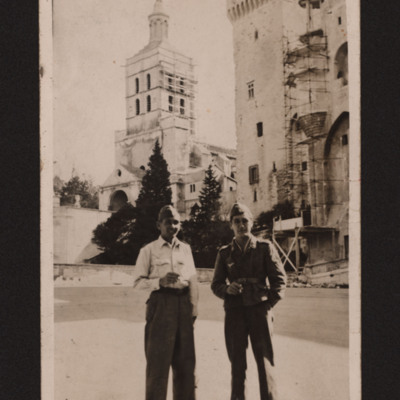 Paolo Troglio mentions his imminent departure from the Nidda prisoner of war camp, complains about the lack of letters and the delay in getting parcels, and finally urges them not to worry about him. 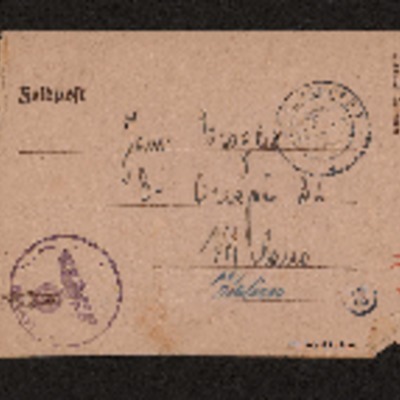 Gefreiter Paoplo Troglio complains about the delays in getting letters form from home and asks his family to send him the toiletries mentioned in a previous letter. 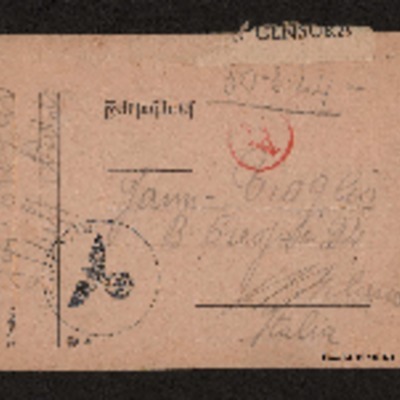 Gefreiter Paolo Troglio sends his regards to his family, writes he is well in Regensburg and ask for toiletries. 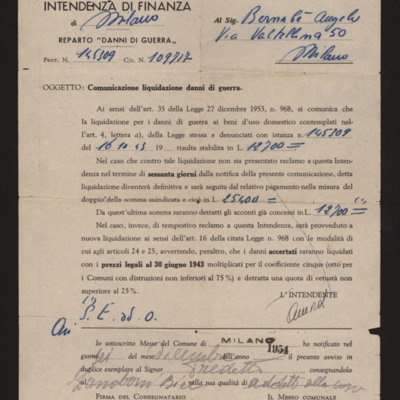 Brief account of Paolo Troglio's contribution to the Resistance movement in the Verona area: he's praised for initiative and fighting spirit.